Ok, so one of the really great things about this robe/cover-up is the floral print, flower petals on the hood! 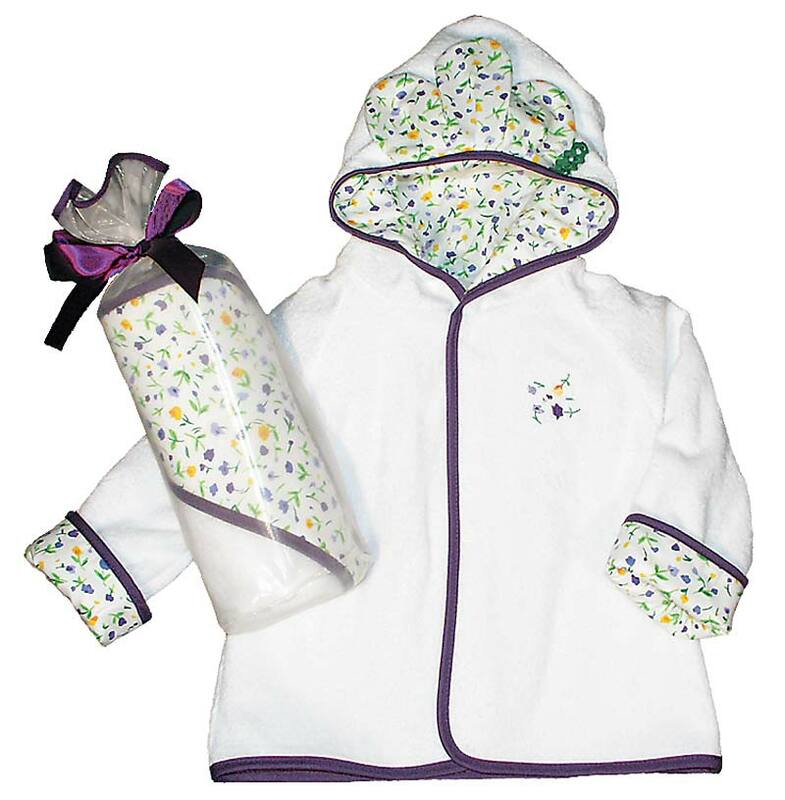 The soft, absorbent terry cloth will soak up all that bath or pool water and keep those babies warm and dry! Size: One size, Infant, 12-24 mo.